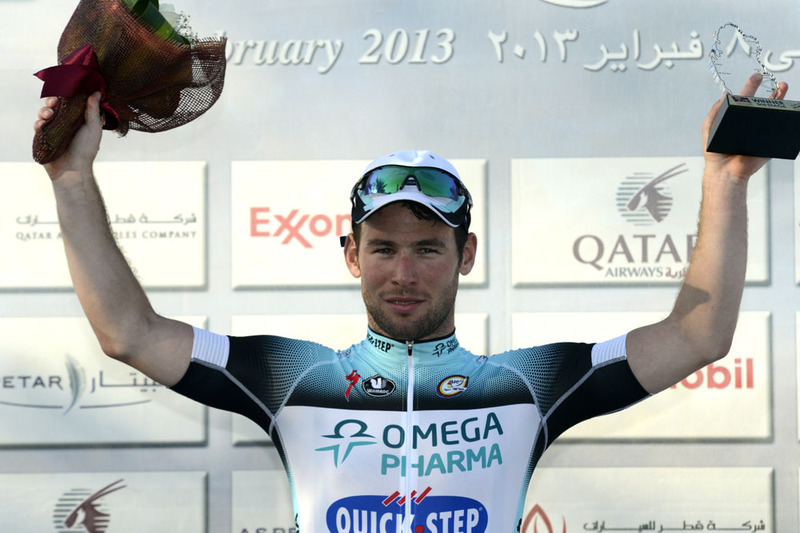 Mark Cavendish (Omega Pharma-Quick-Step) claimed his second win of the season at the end of stage three of the Tour of Qatar. In a messy sprint finish, with numerous teams scrapping for supremacy, the Isle of Man rider appeared out of it well into the final kilometre. But as so often with Cavendish, he only needed the tiniest of gaps. When a crack appeared, he jumped and crossed the line a bike length ahead of Barry Markus (Vacansoleil) and Aidis Kruopis (Orica GreenEdge). 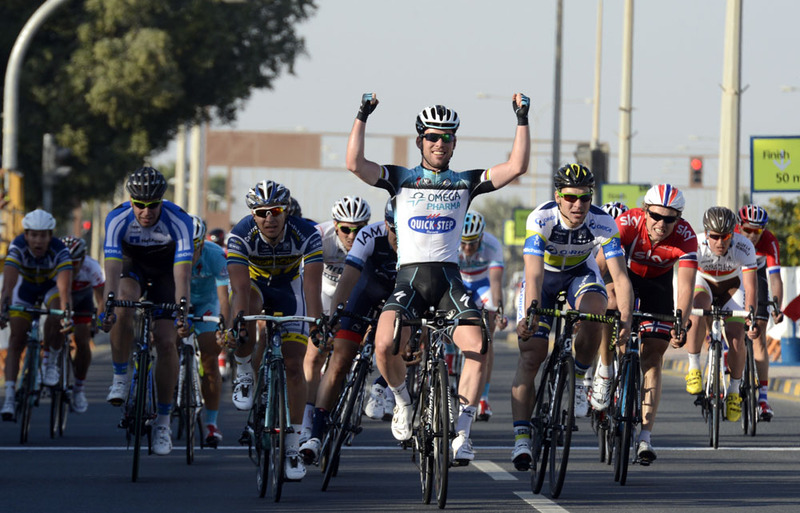 “It was a bit chaotic in the final, like really, really chaotic,” said Cavendish. “We lost my last lead-out man with 2k to go, he broke a spoke or something, so we were down a man. “I just had Niki Terpstra taking me into the final kilometres,” he continued “There were so many lead-out teams; they think a lead-out is what you need, but it’s not. It’s actually worse if there are more lead-out teams who don’t know what they are doing, it just becomes chaos. “I was with Niki and then I saw Luke Rowe [Team Sky] go with [Edvald] Boasson Hagen on the right and obviously I know from racing with Luke how good he is so with about 800-700m to go, when I saw him go on the right, I said that’s the wheel and I went completely out on to Edvald’s wheel. 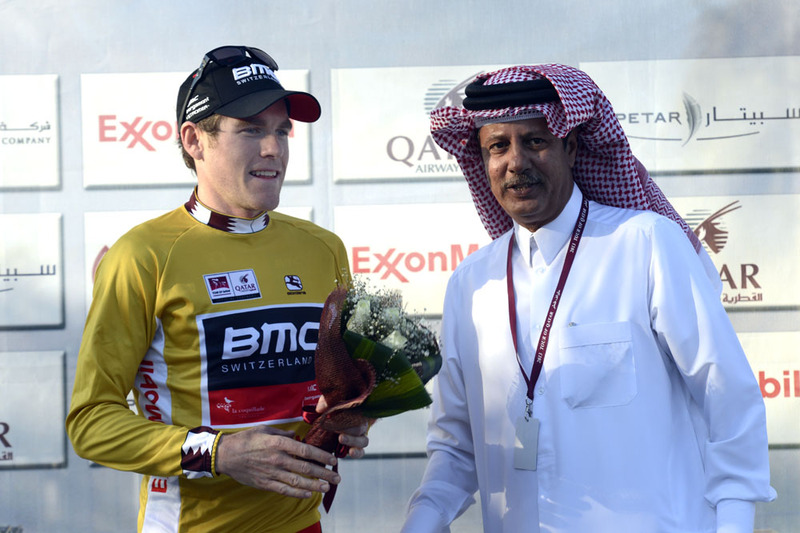 Brent Bookwalter (BMC) held on to the leader’s golden jersey though, with the time bonuses on offer, Cavendish moved to fourth overall, eight seconds down. In second is Bookwalter’s teammate Taylor Phinney, with BMC’s British sprinter Adam Blythe, who edged out Cavendish in the first bonus sprint, third. Phinney didn’t enjoy such a good day, crashing early in the stage. He suffered scrapes and cuts but the more significant problem, if he wants to win overall, was that the wind dropped, which meant a bunch sprint was always a more likely outcome than the splits and echelons that would have suited the American. Cavendish’s chances of winning overall might depend on the wind. “I haven’t come here saying I want to win GC,” he said. “I’m a different rider to Tom [Boonen]. He knows he’s going to be in the front echelon every time. He uses his strength. He can get in a group of three whereas I really can’t. A seven-man break was away for much of the stage, including Mat Hayman (Team Sky) and Dmitriy Gruzdev (Astana), Primin Lang (IAM) and Marco Marcato (Vacansoleil), and they built a lead of close to three minutes before being reeled in by a peloton led for much of the day by Cavendish’s Omega Pharma-Quick-Step teammates, whom he described as “machines”. When they were caught, anarchy broke out, as Cavendish said. He became detached from his teammates, but eloquently proved his point that a lead-out train is not the only ingredient in the winning mix. It’s the turn of speed that matters most, and Cavendish, as Bookwalter said, remains the fastest.